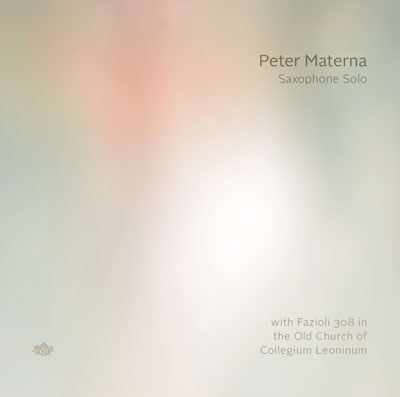 Peter Materna used a trick recording this recent production: he did not only fill the church with the sound of his saxophone, he also had one of the world‘s best concert pianos placed there and provided it with microphones using it as a soundbox. The right pedal pressed the strings of the piano reverberated with every note, every sound structure of Materna building a coresonance. This way not only the playing of the music has been an adventurous trip but also listening to and mixing the recording.